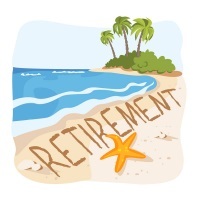 When saving for retirement, most people save to their employer retirement plans, knowing they are reducing current taxable income, typically receiving an employer match on their contributions, and deferring taxation until retirement. However, if this is the only place where retirement savings takes place, you can be in for a surprise when reaching retirement. If all your usable savings resides in a tax-deferred bucket, every dollar you take out to meet expenses will be subject to income taxation at ordinary income rates, thereby forcing you to take additional money out to pay the taxes. It can also be a shock to find that your retirement income tax bracket isn’t much different than your income tax bracket when you were working. Additionally, higher taxable income levels in retirement will also impact the amount of your Social Security benefit which is subject to taxation and can also result in higher Medicare premiums. So what should you do differently to give yourself more flexibility and lower overall taxation in retirement? There is great benefit in having multiple buckets of savings in retirement, each of which is taxed differently, to allow greater flexibility year-to-year on overall taxation. If you have a High Deductible Health Plan (Individual deductible >= $1,300 or Family deductible >= $2,600, you should be contributing to a Health Savings Account. Ideally, the way to use this account is to contribute the maximum allowable to it each year ($3,400 – Individual; $6,750 – Family). If you are over age 55, you can contribute an additional $1,000 annually. 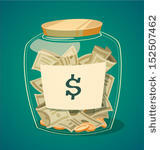 These contributions are pre-tax, which helps reduce your current taxable income. While you are still working, try to pay any out-of-pocket medical expenses from regular cash flow, not from the HSA. Use the HSA balances only if absolutely necessary. Treat this account as a retirement health savings bucket. By using it as another savings mechanism, you will be able to accumulate a sizeable bucket of tax-free savings which can be used for qualified medical expenses in retirement. Roth 401(k), Roth IRA contributions or conversions – Roths are a bucket of savings for the future which is funded with after-tax dollars and grows tax-free for retirement. When you are starting out in your career and your earnings haven’t yet peaked, you should contribute to a Roth IRA to build tax-free savings for the future. You are contributing after-tax dollars when you do this, but over a long period of time, the tax-free earnings will really add up. When you take distributions from a Roth IRA in retirement, they are tax-free to you. This is also true for employer plans where the Roth 401(k) is available. This allows you to contribute after-tax dollars to the plan and built long-term tax-free savings, while still remaining eligible for employer match amounts to the regular 401(k). Another good way to fill up a tax bracket in the early years of retirement, before required distributions begin, is to convert some or all of a regular 401(k) or IRA to a Roth IRA. Such a conversion allows you to transfer pre-tax savings to a Roth, paying the tax at the time of conversion and then letting those deposits build tax-free earnings from that point forward. Brokerage/Taxable Savings – Having a bucket of money in a non-IRA brokerage account gives you additional flexibility in funding your retirement. This bucket of savings uses after-tax contributions and you are taxed annually only on Interest, Dividends and any Capital Gains for holdings you sell. One benefit of investments in this bucket is the ability to net gains against losses in any given year, which can reduce or eliminate capital gains taxation. Just as you are taught that diversification is beneficial in your investments, diversity is also beneficial in your savings. By saving to multiple, differently-taxed buckets throughout your earning years, you gain tremendous flexibility in how you fund your retirement. These buckets allow your financial advisor and your tax preparer to help you make the best decisions about where your retirement income should come from and how best to manage overall taxation year-to-year. Given that the federal tax code is ever-changing, it also keeps the portfolio more agile and able to handle any taxation changes which might occur. Diversify your retirement savings and enable those “buckets of savings” to work better for you throughout retirement.